The thing with all those holiday Instagrams you follow, travel shows you watch, and YouTubers that broadcast from locations around the world is that they make you want to just get up and go somewhere. You start researching flights and looking up places you’d like to visit. This all seems exciting, right? OK, you’ve found this amazing part of Spain called the Costa Dorada. It looks incredible and you could see yourself sunning on the beach, frolicking in the waves, or simply strolling through the old quarter of some of the ancient ruins you’ll find here. Then you check your bank account. Damn. You can practically hear the crickets chirping in your account. But wait! Hang on! Before you click out from all those flight websites and close off those holiday planning sites, you don’t have to give up tons of cash to enjoy life in Southern Spain. Just because it’s known as the “Golden Coast” doesn’t mean that you have to give up all your gold. You CAN stay in the Costa Dorada on the cheap, and you won’t even feel like you’ve sacrificed anything. You can still do everything you wanted to do, escape to the sunny Spanish coast and have a great holiday without putting your bank account into the red. Here are our top tips to living frugally on the Costa Dorada. Just because it’s where everyone is going does not have to mean that’s where you sleep. There are plenty of hot spots along the coast, destinations that you absolutely must visit when you come. The biggest is, of course, Tarragona, the city that defines this whole region. You could almost spend all your days here with all the activities and amenities that it offers. But the price tag on everything will quickly eat up your budget. Stay in the outer towns to help save money. 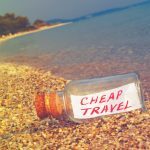 If you can manage it, book your own vehicle, and you have the freedom to find accommodation in Calafell or Cunit, little towns that will cost you far less than it would to stay in the bigger cities. These places still have top-notch accommodation options but without the top-notch price. Set up your base of operations here and you could be saving 30-40% at a minimum on your accommodation costs alone. On the plus side, these smaller towns, several just a few kilometres outside of main centres, have a quieter feel. They are more local in flavour, without the crowds of tourists you’ll see clamouring for the last hotel rooms in big cities. Save yourself all that drama, hassle, and cash by staying just off the beaten track. We’ve seen it all too often. 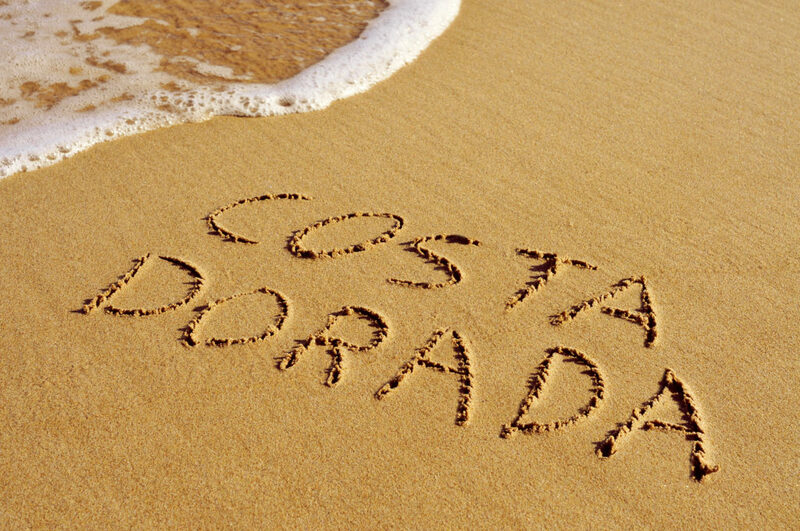 Tourists plan their visit to the Costa Dorada and think that they can simply book their place to stay last minute. Sure, there may be some options left after the rush, but those places won’t come cheap. Last minute prices don’t go down, they go up. Too many tourists to this region of Spain have learned that lesson the hard way. The best way to book your accommodation to avoid that price escalation is to book your place several months in advance. Plan your stay a few months out and you can save tremendous amounts of money, money that you can now spend on tours and activities. If at all possible, plan a year out and you can land some sweet deals from hoteliers and private villa owners keen on making those early bookings. And speaking of hotels VS private villas, we have to mention just how much more economical it is to stay in your own private villa. At this stage, almost everyone has heard a story of how incredible it is to book private accommodation as an alternative to the normal hotel chain you’ll find on almost every corner down here. These places are private (of course! ), easy to find, and surprisingly within your price range. Although there are a fair number of private and solo travellers booking private villas in Costa Dorada, the real savings are made when you’re travelling in a group. Not only is it significantly easier to have your own place when you’re trying to travel in a group, but it also works out to be much cheaper as well. If you can manage to save money while enjoying the luxuries of several large bedrooms, a private kitchen, and a private pool, then why not look at private villas for you and your next group travel. You’ll come out looking like the hero to your whole family. 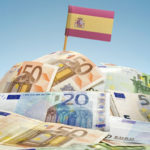 Speaking of saving money, Costa Dorada is going to cost you some money for food. The cuisine here is incredible with fresh seafood being the centre of many dishes local to this area. Costa Dorada dining will grab you and won’t let go. But unless you’re willing to spend more than you should on cafes, chiringuitos and restaurants every night, plan to eat in as often as possible. As long as you listened to our previous tip, this isn’t going to be as hard as you first think. If you were staying in a hotel, you might have a hard time cooking up meals for you and your family. But if you have the ability to walk into your own private kitchen, it makes more sense to stock the fridge and pantry with some essential items and whip up a meal of your choice. You can certainly cook any meal that you prefer, but we’d suggest trying to eat local dishes using local ingredients. It’s a whole new experience cooking up amazing meals, foreign foods in your very own kitchen, and you can keep your pesos in your pockets. Travelling around is going to be expensive if you need someone to hold your hand. 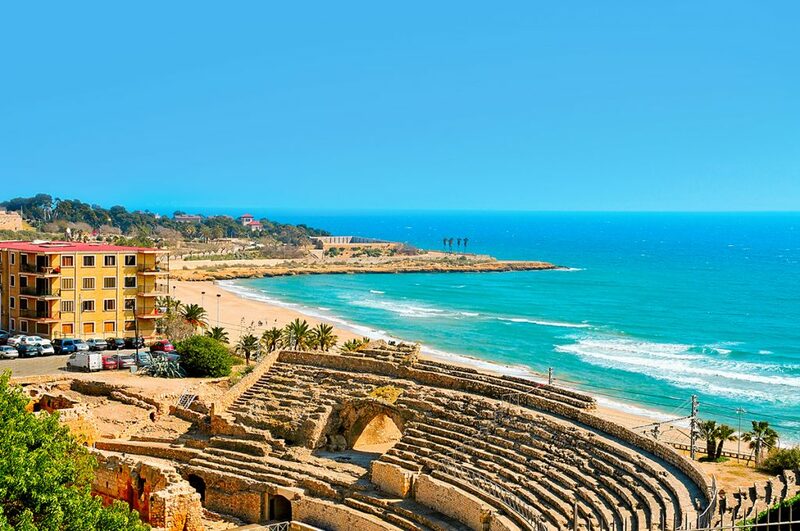 It might be cool to book a knowledgeable local for a day to discover the wonders of Tarragona or Salou. But when you’re here for more than a week, we’d suggest making your own fun. Do as much research as possible before you come, and make a list of the sights you’d like to see. Maybe it’s a beach or two, like Milagra Beach. Or maybe you have ruins you’d like to see like the Pont del Diable. You don’t always need someone to tell you the history. They have websites for that. Do your own tours. Make your own itinerary. Keep your own money to yourself. Truly the best thing you can do while you’re travelling the Costa Dorada on a budget is to do free things. The best memories and experiences are often those you haven’t paid a cent for out of your wallet. Did you know that this part of Spain enjoys 300+ days of sun every year? Do you also know how many beaches there are along this coast? And do you know how much it costs to visit a new beach every day? Nothing. Spending the day in the Mediterranean waters and enjoying the Spanish sun is the best activity we can think of if you’re trying to save cash. It’s free. It’s fun. And there is no end to the number of beaches you can experience here. 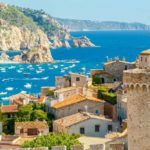 Or if you get sick of beaches (we doubt it), you could always try a hike, or explore some gardens, or stroll through the old town of Tarragona, or simply people-watch on a busy street corner. But then it’s back to the beach you can go, all the while never once pulling out your wallet or handing over your credit card. By now, you’ll realise that the “Golden Coast” isn’t named because of all the money you’ll need to visit here. You’ll see that it’s rich with beauty and fun and experiences, none of which need to cost you anything. By all means, plan your trip to the Costa Dorada without worrying about spending too much money. There is so much more to do here, so start your planning today.